MeasureSafe 36A advanced RCD compliance testers are easy to use, cost effective and reliable hand held devices now available from Measure-Tech Australia . Designed for plug and play operation, these compliance testing units are manufactured in Australia to world standards, and will automatically test RCDs and report the mains voltage along with current and time taken to trip on alternative tests. Alternatively, test conditions can be manually configured by suitably experienced service personnel. MeasureSafe 36A compliance testers can test all currently available RCDs by simulating various earth leakage problems. They will also report the mains voltage and incorrect wiring to outlets. Suspect equipment can also be tested whilst operating to provide earth leakage operating margins to identify nuisance tripping problems or faulty equipment. 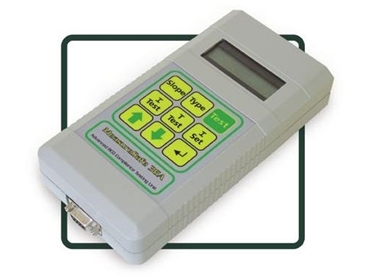 MeasureSafe RCD testers are capable of recording up to 4000 test results for later downloading to a PC for analysis, with various models available to suit individual data storage needs. the result for that test.